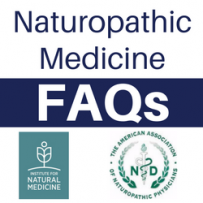 FAQ #18: What advanced nutrition training do naturopathic doctors receive? The AANP and the INM would like to acknowledge: JoAnn Yanez, ND, MPH, CAE, executive director of the Association of Accredited Naturopathic Medical Colleges (AANMC), Arianna Staruch, ND, interim dean, School of Naturopathic Medicine,Bastyr University, and Taylor Arnold, PhD, RDN, assistant professor, nutrition, Southwest College of Naturopathic Medicine,for their contributions to the content of this FAQ. Nutrition is often a pivotal component of an individual’s journey toward optimal health. Poor diet is also the leading preventable risk factor for disability or early death in the United States. However, despite this and rising rates of obesity, diabetes, and other nutrition-related diseases, many U.S. healthcare providers are not adequately trained to address nutrition in a way that could help patients build a stronger foundation of health, or even lessen disease development or progression. Conventionally trained medical doctors receive a nominal amount of nutrition education in medical school. A recent study found that only 12 percent of osteopathic doctors were aware of Dietary Reference Intakes, a key guide to differentiated nutrition requirements. Naturopathic doctors take the time to investigate and incorporate all of these factors to individualize nutrition assessment and prescription. They work with patients in a step-by-step fashion to implement nutritional changes. By doing so, they empower patients to play an active role in their nutrition. This kind of empowerment can lead to better health outcomes and lower costs. Health Policy Brief: Patient Engagement. Health Affairs. February 12, 2013. ← How Do Naturopathic Doctors Diagnose and Treat Digestive Complaints?